If you spend a lot of time outdoors, which you likely do living in sunny San Diego and the surrounding areas of Southern California, your skin and appearance can be affected in ways that result in a myriad of unwanted skin conditions, including rough dull texture, sun damage, wrinkles and lines, brown discoloration, new unsightly blood vessels and redness and more. Luckily, an IPL Photofacial/Photorejuvenation is a great way to address these issues. And just like going to the dentist for a teeth cleaning is necessary to keep your teeth healthy and white, with regular treatments, IPL is a great way to keep your complexion radiant and youthful. 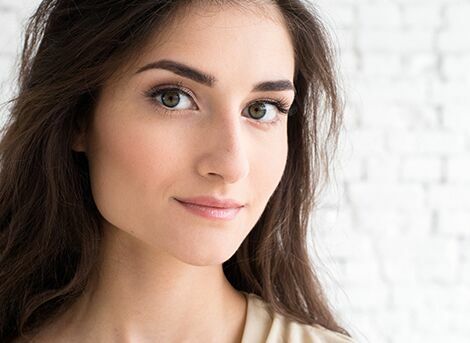 At Cosmetic Laser Dermatology, our board-certified dermatologists and staff are experts in laser treatment, as we offer a comprehensive variety of 45+ laser treatments, including the IPL photofacial device Lumenis M22, our most popular IPL treatment that suits your unique skincare needs. Not only did our very own Dr. Mitchel Goldman help develop the first intense pulsed light device for treating common skin issues, but also each of our six dermatologists has been involved in numerous research studies involving IPL, giving our team the most experience performing IPL treatments than any other practice in the country. If you suffer from several of the above issues, you may think that a host of treatments is the only way to address them all. But who has the inclination or time to undergo several different procedures? That’s why the board-certified dermatologists at are excited to offer you the new M22 IPL treatment, a multi-use platform that allows treatment of various conditions so you experience better results more quickly and efficiently than with other treatments. An active lifestyle with lots of time spent outdoors in the San Diego sun can result in a variety of unwanted skin conditions. 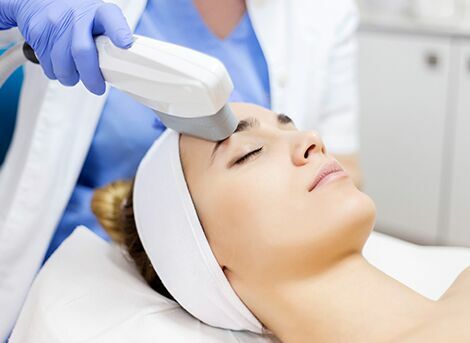 However, as part of the M22, the minimally invasive IPL photofacial, often referred to as the lunchtime laser procedure, might be the skin rejuvenating treatment you’ve been looking for. 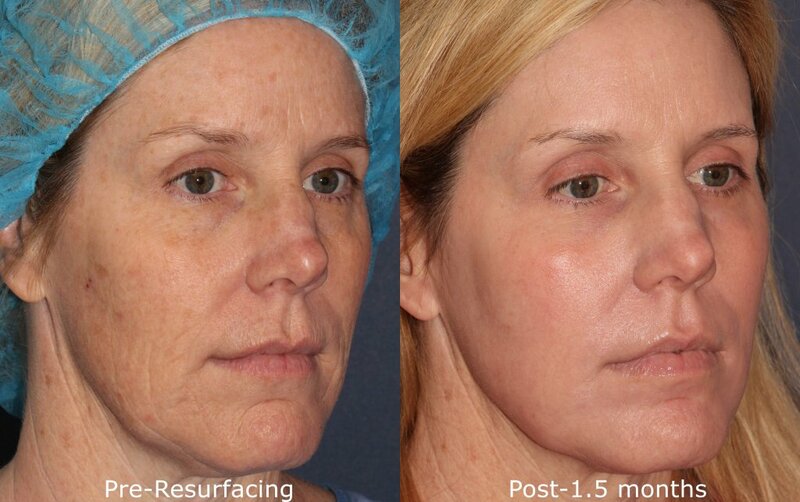 The ResurFX mode is a non-ablative (does not burn) laser that delivers skin resurfacing for a variety of conditions. 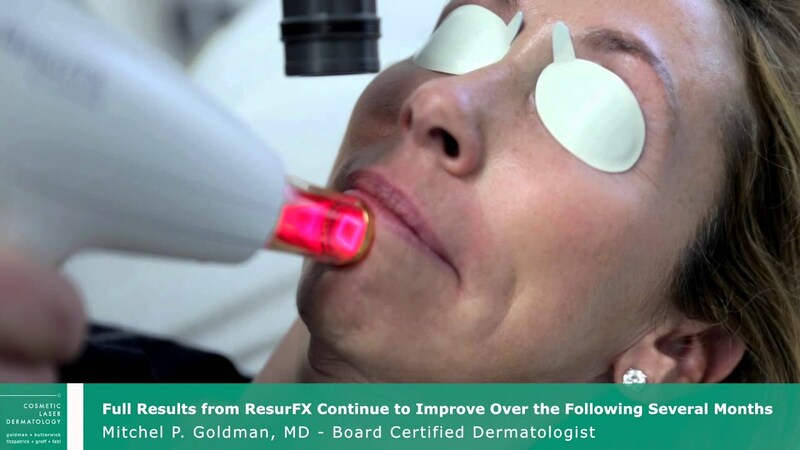 ResurFX uses a fiber laser and innovative scanner, and it’s unique because it requires only one pass for optimal results. Despite penetrating deep into the skin, the ResurFX does no damage to the surface of the skin. The laser stimulates collagen and elastic fiber production and the skin’s self-healing properties, both of which can become limited due to aging or the damaging effects of the sun. 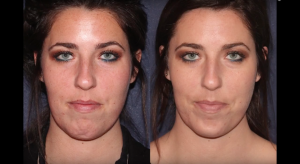 Furthermore, ResurFX has amazing versatility, as it can be combined with an IPL Photofacial for a state-of-the-art revitalizing Photofractional treatment. 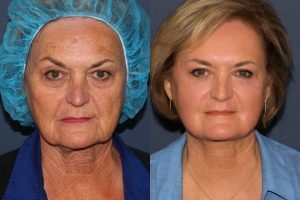 It is also perfectly suited to be combined with neuromodulators like Botox and injectable treatments such as dermal fillers for enhanced results. 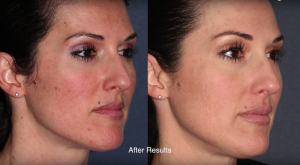 At Cosmetic Laser Dermatology, we specialize in minimally- and non-invasive treatments like M22 IPL. Our 100+ years of combined experience and attention to your questions and/or concerns ensure that we develop a personalized treatment plan that helps you reach your aesthetic goals. The M22 IPL allows you to have effective wrinkle reduction, skin rejuvenation, and appearance-enhancing results without surgery or anesthesia as well as without the inconvenience of downtime. Also, since our skin rejuvenation specialists perform the treatments themselves, you’re getting the best results available anywhere. 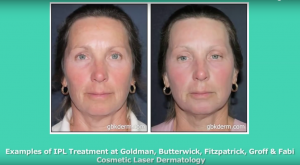 Contact Cosmetic Laser Dermatology today to learn more about this innovative procedure. When you step into our La Jolla offices, you can expect warm smiling faces and a relaxed, friendly atmosphere. More importantly, you’ll get treated with compassion and personalized expertise. More specifically, if you visit for an M22 IPL treatment, you can undergo a quick session, depending on nature of area being treated and the treatment plan itself. In fact, a typical session takes 10 minutes or less, which makes it ideal for treatment during a lunch break. The M22 IPL can treat a variety of conditions with one device/handpiece. Because it equally distributes energy during each pulse, you benefit from a safer, more precise, more comfortable treatment. Furthermore, the continuous cooling capabilities of the device throughout your procedure decreases discomfort, protects your skin, and saves time while helping you get the results you’re looking for. Due to the cooling between pulses, each treatment is minimally painful. If you’re like most of our patients, you’ll feel a slight stinging sensation as the light pulses into the skin, but it is temporary. Furthermore, the device is safe and effective for all types of skin, including darker skin, particularly for removing hair and treating vascular lesions. This also reduces the chances of any side effects, as well as those of experiencing damage to the skin, changes in texture, burning, and scarring. This minimally invasive treatment allows for an immediate return to your daily activities, including work – although we won’t tell your employees (or the boss) if you decide to take the rest of the day off!). Downtime is not common, though it’s likely that you’ll experience redness, skin irritation, mild burning, and swelling for a few days after treatment. ncbi.nlm.nih.gov explains more about what the M22 IPL treatment can do. Your ideal results are noticeable after a single treatment. A: Part of what makes the Lumenis M22 unique is its focus on cooling between pulses to minimize the discomfort experienced by the patient. You may feel a slight stinging sensation during the procedure, but the treatment session is relatively quick and discomfort should not last long. A: A Lumenis M22 treatment is ideal for busy patients who do not have time for a lengthy procedure. The treatments typically only last 20 minutes depending on the patient and the area to be treated. Q: How many treatment sessions will I need to see ideal results? A: For the majority of patients, ideal results will be revealed after 4-6 treatments spaced 4-8 weeks apart. One of the many benefits of this treatment is that results are long-lasting, and most patients will only need touch-ups to maintain results. A: If you are a healthy individual looking to minimize the appearance of wrinkles, scars, hyperpigmentation, or veins, you may be a good candidate. This treatment is great for improving the overall look of the face, neck, chest, back, and hands. 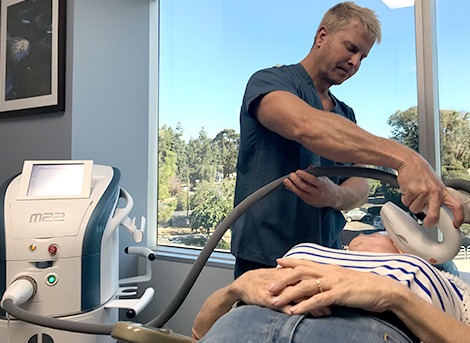 The best way to find out if the Lumenis M22 is right for you is to schedule a consultation with one of our laser experts in San Diego today. A: Because Lumenis M22 is non-invasive, patients can return to their normal daily activities immediately following treatment. It is common to experience some redness, burning, and/or swelling (depending on the specific laser treatment used) after treatment, but this should diminish within a week. Don’t forget to apply sunscreen daily, as your skin will be sensitive after treatment. Q: Can it be combined with other treatments? A: Yes! Lumenis M22 can be used in combination with dermal fillers and neuromodulators to further enhance results. Q: Who should perform the treatment? A: It is important that you seek laser skin treatments only from board-certified dermatologists. Our dermatologists have all undergone extensive training in laser skin care and are among the best in the field. At Cosmetic Laser Dermatology, we offer several skin resurfacing alternatives to M22 IPL to help you get the aesthetic results you’re looking for. These include microneedling and Dermasweep as well as gentler options like Clear + Brilliant or chemical peels. To find out which treatment suits you better, schedule a skin-resurfacing consultation with our San Diego experts.